The Year: 2016 airs Tuesday, December 20 on ABC! 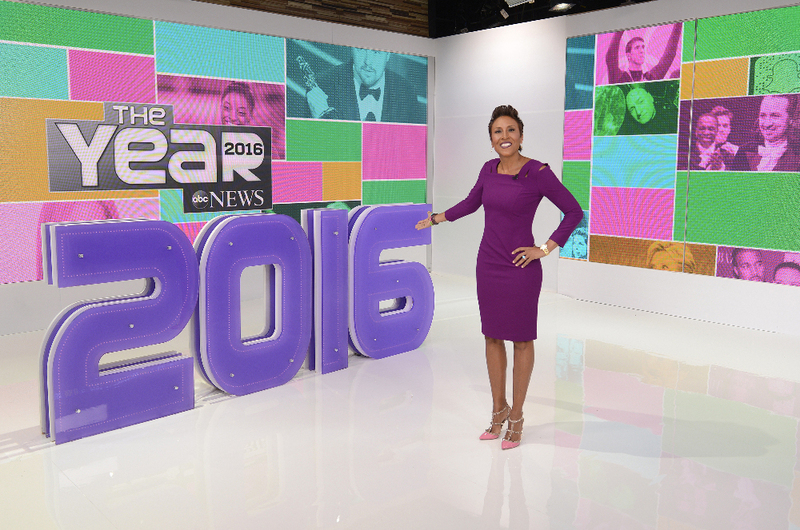 As a historic year comes to a close, Robin Roberts and the team of ABC News anchors who have covered the biggest news stories of the year take a look back at those unforgettable moments in "The Year: 2016," airing TUESDAY, DECEMBER 20, at (9:00-11:00p.m. EST), on the ABC Television Network. Robin is joined by colleagues including George Stephanopoulos, David Muir, Michael Strahan, Amy Robach, Lara Spencer, Dan Harris, Juju Chang, Byron Pitts and Elizabeth Vargas, who deliver a wide-ranging look at the year in politics, celebrity romance, pop trends, viral videos and more. From the highs and lows of the unpredictable 2016 presidential race to the ongoing Syrian refugee crisis and the Black Lives Matter movement, the two-hour special covers the most iconic and historic moments that viewers will remember for years to come. "The Year: 2016" also features the buzziest personalities of the year, including original interviews with the stars of "Stranger Things" Millie Bobby Brown, Gaten Matarazzo, Caleb McLaughlin and Finn Wolfhard, Snapchat king and rapper DJ Khaled, Olympians Laurie Hernandez and Simone Biles, and the cast of "Fuller House." In addition to the breakout stars and comeback kids, the special celebrates star-studded romance and revisits the headline-grabbing breakups of Brad Pitt and Angelina Jolie, and Johnny Depp and Amber Heard plus much more. From captivating trials to viral videos to hit songs, "The Year: 2016" covers it all. Throughout the program we're joined by guest commentators, including business investor on ABC's "Shark Tank" Mark Cuban, prosecutor Marcia Clark, lawyer Chris Darden, New York Times bestselling author Jennifer Weiner, co-host of "Entertainment Tonight" Kevin Frazier, plus comedians Michelle Buteau, Iliza Shlesinger and Brett Erlich, who will weigh in on the newsworthy stories of 2016. Some of those stories may or may not include events Jimmy Kimmel covered in 2016. To cover all bases, we've put just a few of Jimmy's top events below.